For 30 years, the Great Plains Trails Network has supported the network of trails in and around Lincoln for jogging, biking, walking, and horseback riding. Your gifts, both large and small, will help us to achieve our mission of developing multi-use trails in Lincoln and Lancaster County resulting in healthier lives, natural green space corridors, and improved quality of life for all. 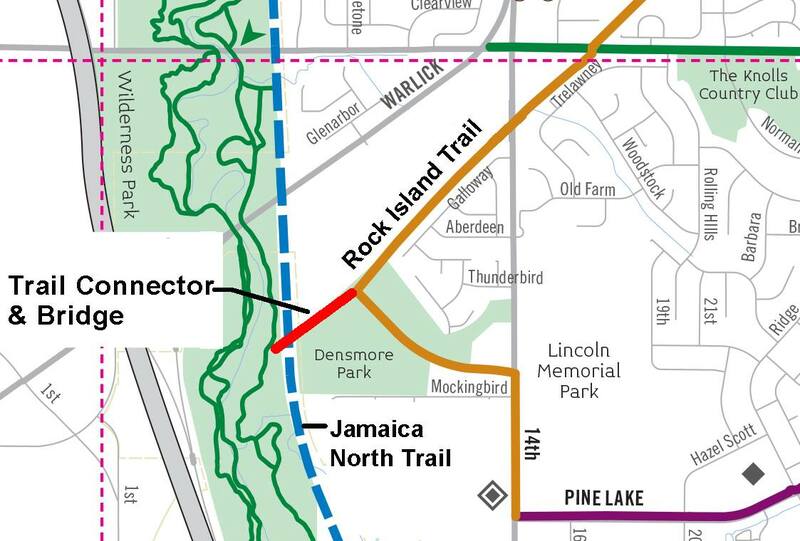 GPTN is currently focused on raising money to build the Rock Island to Jamaica North Trail Connector near Densmore Park and the Cooper YMCA. This project will provide a pedestrian bridge over the BNSF railroad tracks. Click here to watch an animated video of the proposed trail connector. The cost of the bridge is $1.1MM and we hope to break ground on the bridge in the Spring of 2019. Help us raise the fund for this exciting project that will connect two major trail systems. Donate today - remember to select the connector bridge to designate your funds.